How Does MS Affect Patients' Quality of Life? Patients with multiple sclerosis (MS) commonly experience tremoring limbs, head pain, and blurred vision, among other symptoms. 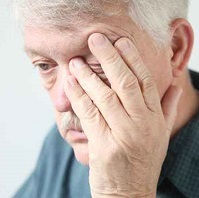 Fatigue is another commonly reported and has the power to alter a patient’s quality of life (QoL). But by how much? In a poster session at the 31st Congress of the European Committee for Treatment and Research in Multiple Sclerosis (ECTRIMS 2015) in Barcelona, Spain, Arzu Ozdincler, a professor at Istanbul University, and colleagues will weigh in on their recent findings on the matter. The team analyzed 104 patients with MS (78 females and 26 males) and an average age around 41. Of those, 76 had a relapsing-remitting type of MS and 28 had a progressive type. The average Expanded Disability Status Scale (EDSS) score was 4.31±1.37. “There was a significant correlation between fatigue level and QoL (r=0.581 p=0.023), but there was not any correlation between fatigue level-balance (r=0.086 p=0.383) and balance-QoL (r=0.242 p=0.384),” the researchers confirmed. The findings determined that fatigue has a strong influence on the QoL of patients with MS. This indicates that fatigue is a crucial symptom to tackle in treatment.